As a parent in my younger years, I would worry about such different things. 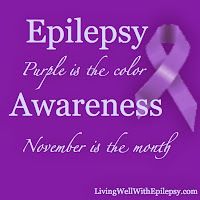 Even without considering Epilepsy, life was different then. I remember my oldest child being so clean. Never letting her experience getting dirty, playing in the mud or even splash in a puddle. There is clear photo evidence that with my second oldest child, I relaxed as a parent and he did get dirty. I am pretty sure that my third child was the first to actually play in the mud and when they all played blissfully, sitting joyfully in a big mud puddle waist deep... I learned that it does indeed come off. By the time Brynn, our fourth child was born just about anything was game. It was like I had a different kind of child. He would spend hours playing in the dirt with his trucks. He was all over the place... so much energy... so much determination... He would literally fall asleep standing up and wake up running. When Brett came along I clearly remember thinking that he too was in Bryan's league. He had that same hyper, curious look in those same big blue eyes from early on. Things I would have never heard 3 years ago take on a whole new meaning. Listening and watching… hand raises, eyes open, pupils dilate… Will he pick at the blanket? Will he chew a hole in his inner cheek or will it be his toungue? Will it stop or will it go on? I feel like I am reliving a nightmare. It is so much worse when you already know what can happen. I don’t want to watch, I just want it to go away. I don’t want to see his sparkle taken away. I am out of my comfort zone. 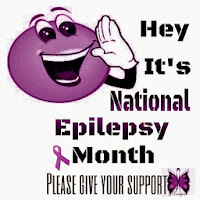 Just like in my early days of Motherhood when I thought I knew it all… Here I am once again, questioning all I know and learning more about Epilepsy and seizures than I thought possible. I found out after the first two children that playing in dirt was actually good for them. Who knew that getting dirty actually was healthy for children? I found out with Brett’s diagnosis that a simple Partial seizure can be just as frightening as a Complex Partial. I found out too that I don’t know as much as I thought I did about Seizures. For the first time in a long time, I find myself questioning what I have missed in Brynn. Brett is teaching me so much about seizures that do not have stiffening, shaking or postering involved. Visual disturbances, floating and odd feelings seem to be a big part of his days. Who knew a child could feel this way and they actually think it’s normal? I would like to go back someday to those giddy days of parenthood when my heart didn’t skip a beat every time I heard an odd sound through the monitor. I honestly don’t remember what it’s like not waiting for the big one… To softly, gently drift off to sleep without a worry, besides how to remove the dirt from that new Elmo shirt. 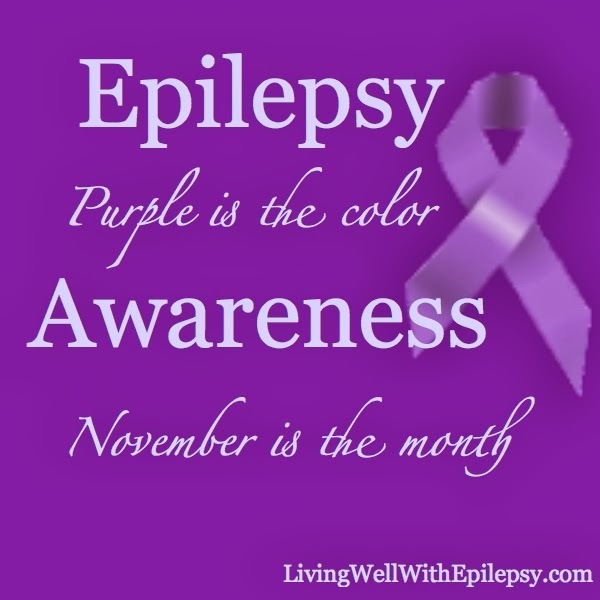 Epilepsy has stolen a lot from our family. It has stolen parts of Brynn that we can't get back. It has stolen time, laughter, peace... I can only pray that whatever this is can be stopped in Brett. My heart hurts looking at his sparkle flickering... It hurts to even think that seizures could at any moment take his sparkle away... It's like watching a train move slow motion straight for a mountain... when you can't see the opening. I cry out to the Father, please let that opening be there, please don't let this do to Brett what it did to Brynn. Daily, I struggle to keep it positive, no matter what... I did find out how to remove the mud from that new Elmo shirt. Just a long soak in the sink and it was gone. Much like that mud stain, it will take time to let Brett's diagnosis sink in and become clear. Likely, Much time will pass before we have full answers and prayerfully one day we will all be able to not worry about seizures... I have never had a sense of direction. When I get lost I have no way of determining where I am or how to get where I need to be. Recently, this led to me being lost for an hour in one smaller part os a larger city, thinking I was somewhere else. In this situation, the worst thing you can do is keep driving. Without assistance from anyone, you make it worse by getting further disoriented and likely driving away from the solution. Looking at the map when I got home, it was easy to see what I had done. Such is our Epilepsy journey. With a great Doctor, Brynn's history and Brett's diagnosis we will have to work together to try to get this figured out and be where we need to be. I don't just want to know the genetic side of things, now I "need" to know. Most of all I will be depending on God to keep us sane in the process. It's a scary place to be... but with God's strength, mercy, grace and peace we can too get through this. 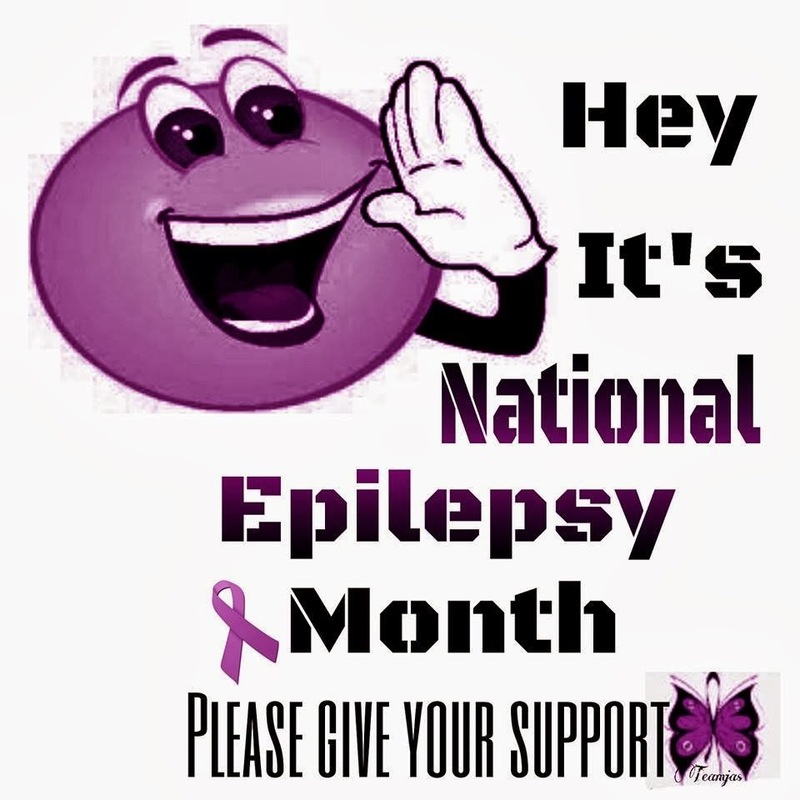 with "Epilepsy Warrior Boys" in the subject and I will send you our P.O. Box address.